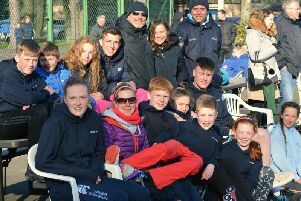 Borders paddlers win the Lottery! Border Kayak and Canoe Club members have received the very welcome news that they have been given a grant of £10,000 from Awards for All, Scotland to apply towards their ‘Border Paddlesport’ Project. The grant will enable the club to purchase kayaks, canoes and associated equipment. Formed in the mid 1990s as the Berwickshire Kayak Club, the name was changed earlier this year to reflect its wider membership and the fact that it offers canoeing as well as kayaking. Club members have opportunities to develop skills in the pools at Eyemouth and Kelso and to apply the skills off the coast and on the rivers of the area.